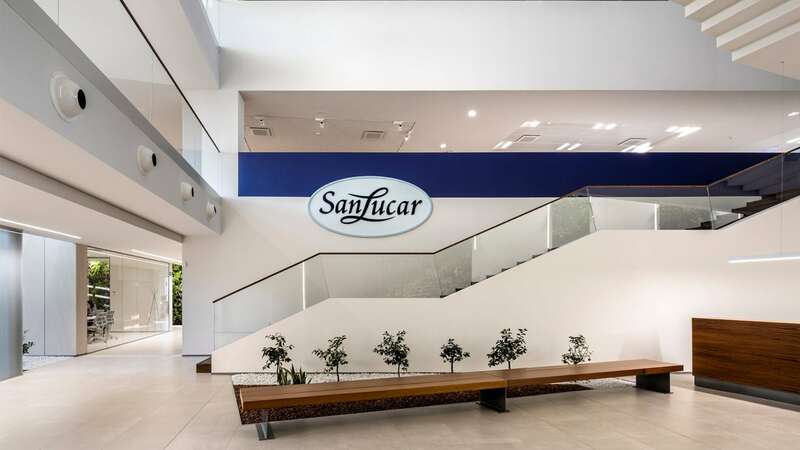 Sanahuja & partners has banked on the biophilic architecture for the renovation of the Sanlucar Fruit headquarters. The flagship in the fruit and vegetable multinational. In its 3.800 m2 extension, the studio has included neutral colours, natural light, vegetation and natural materials. 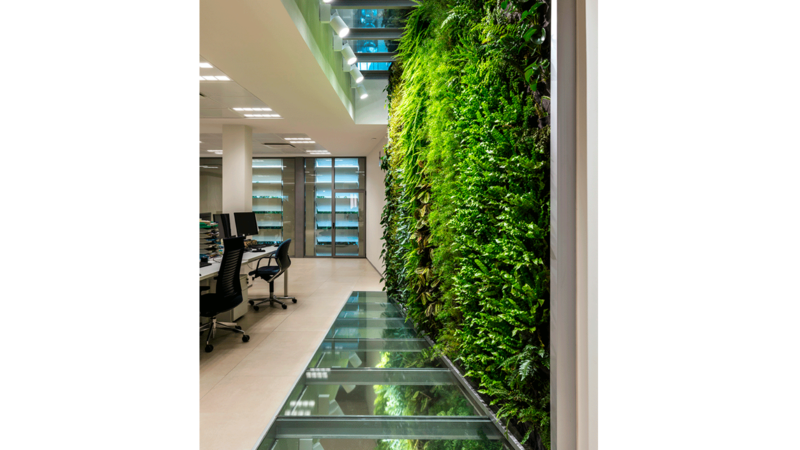 The ‘biophilia’ trend principles, which include natural elements in urban buildings and spaces alike. We are dealing with the essence which characterises Sanlucar products: ecological, sustainable and fresh. 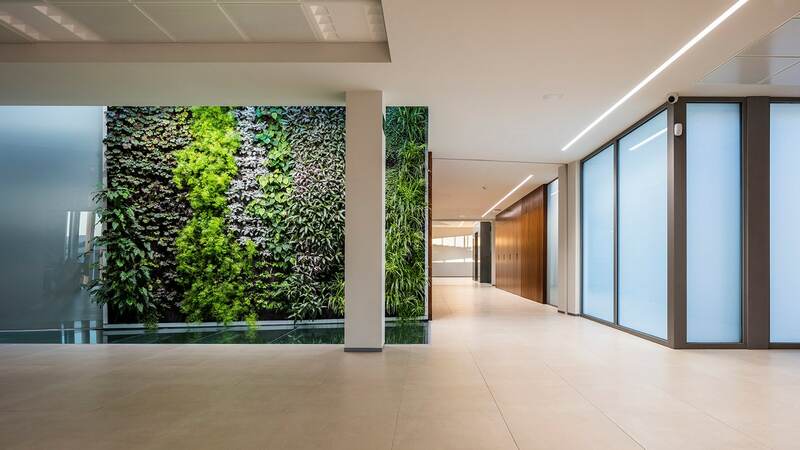 Introduction of vegetation as a decorative element which is natural and healthy. 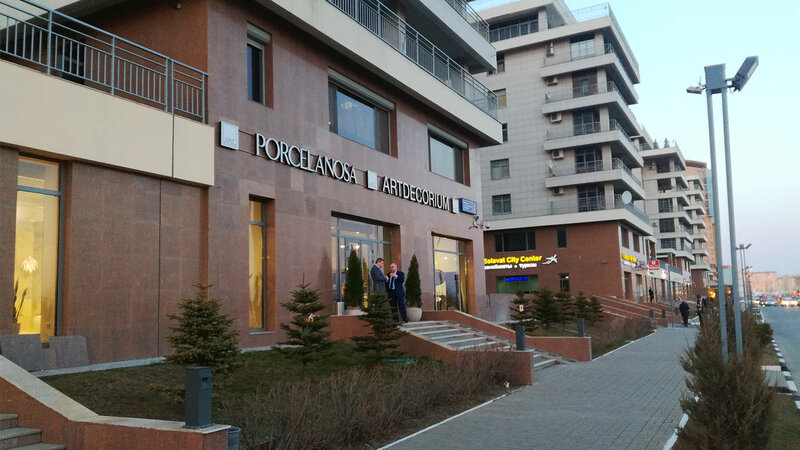 Use of building systems and efficient installations. Sustainable, economically, environmentally and socially speaking. 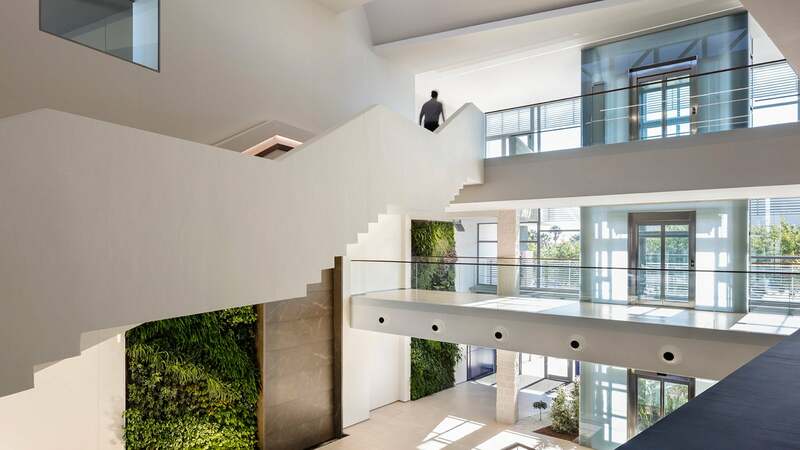 The highest expression of the project is focused on a volume which fits in the current building. 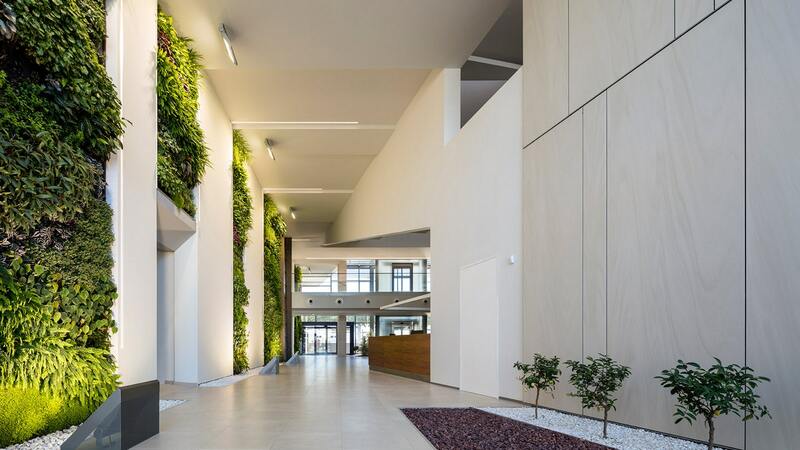 It is there where, one can find a large hall which gives natural light and life to the vertical and horizontal gardens in its interior. Additionally, the main staircase is located here. 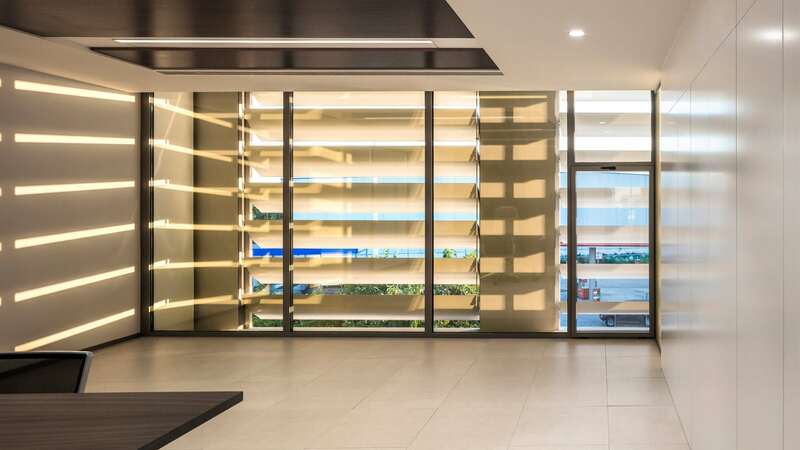 One of the highlighted characteristics of the project is the flooring. The raised access flooring by BUTECH makes a flexible arrangement of workstations possible. 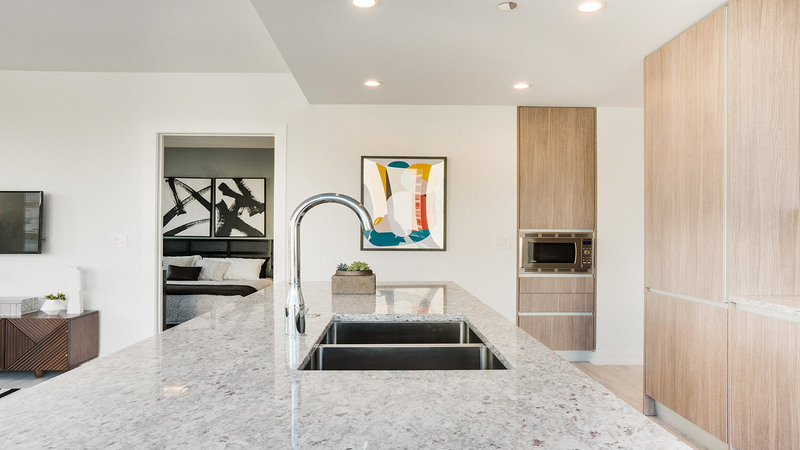 The porcelain tile flooring, specifically the 60cmx60cm Morse White model, is enclosed on a wood shaving particle board support, which in turn, is laid on galvanised steel plots which are height adjustable. 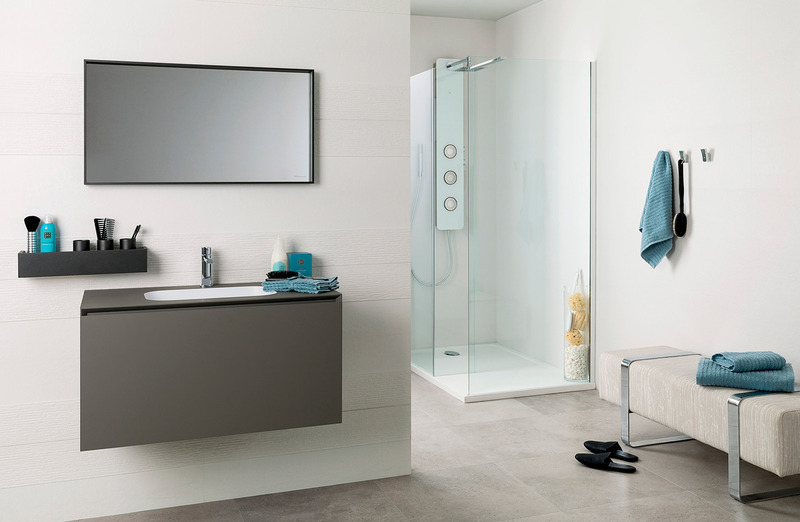 In the bathrooms and the hall, the same porcelain tile and the bathroom equipment from Noken Porcelanosa Bathrooms have been opted for. 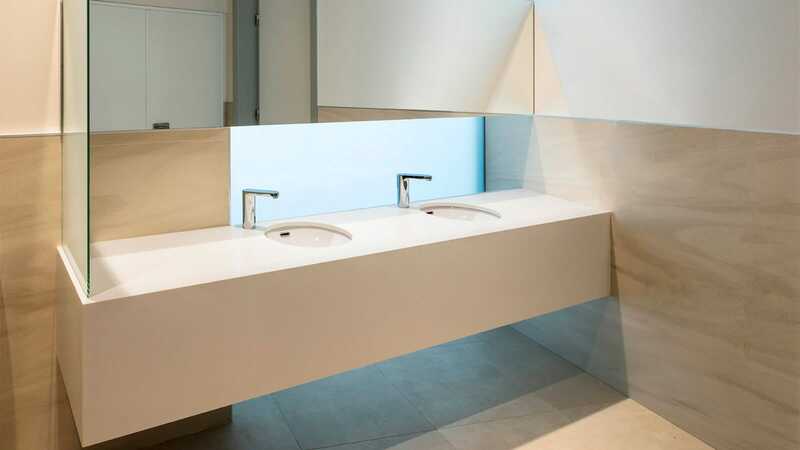 Among them, one can find the Forma collection with the Hotels electronic basin taps and the wall-hung sanitaryware from the URBAN series. 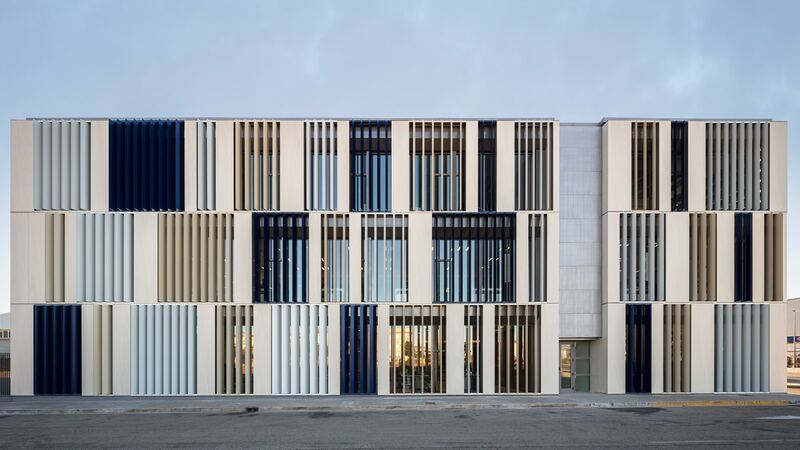 The choice for the ventilated façade has been a large-format porcelain tile, and a parallel double-façade has been used in the glazed areas. An area with solar protection of mobile aluminium slats which are motorised by the home automation system.